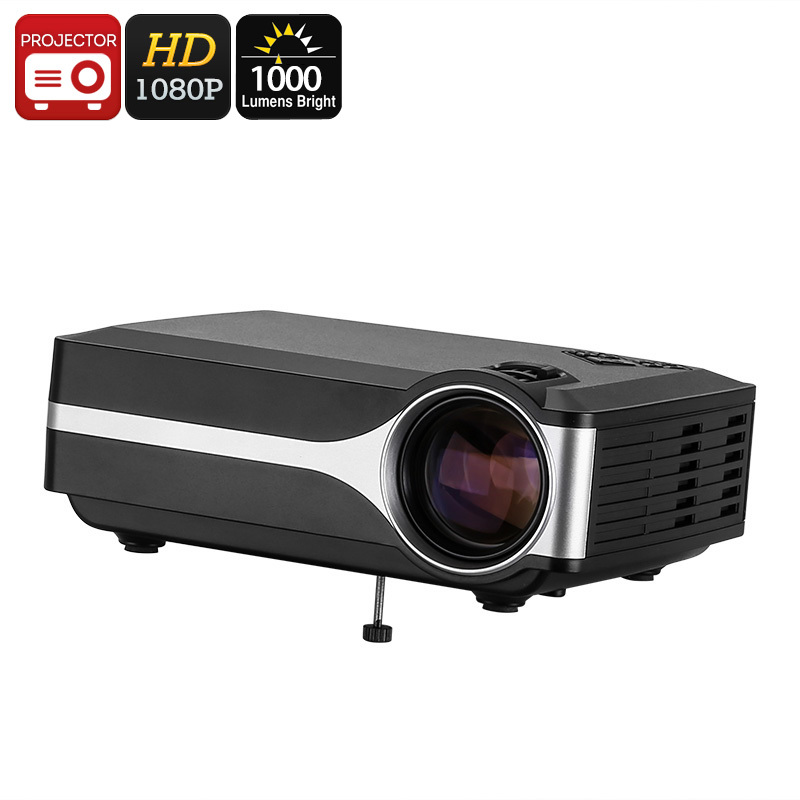 Successfully Added DLP Projector - FHD Support, 1000 Lumen LED, 800x480p Native Resolution, Built-In Speaker, HDMI, VGA, AV, USB to your Shopping Cart. This compact DLP projector is a great gizmo for giving presentations at work or watching movies at home. With its 1000 lumen LED light, it is capable of putting forth a bright image in any semi-dark room or office. The LED projector supports FHD media files, meaning it even allows you to project the latest movies and series onto your wall. With an 800x480p native revolution, it lets you enjoy great detail and vivid color while watching the media of your liking. Whether you use this LED projector for business or entertainment, it is sure to meet your demands. With a throw distance of 1.5 to 4 meters, this DLP projector is suitable for medium-sized room. It comes with a built-in speaker that offers great efficiency and convenience for when giving a presentation or watching a movie. With its 16:9 and 4:3 aspect ratios, this LED projector allows you to watch both classic and modern wide-screen movies without experiencing any loss in quality. A large projection size treats you to a cinematic experience from the comfort of your own living room. With plenty of ports that include numerous USB ports, HDMI, VGA, and AV, this DLP projector can be easily hooked up to any of your electronic devices. The projector itself is compact, making it easy to store away. It additionally has been crafted out of high-end materials giving it a premium look and treating you to an expected product life of up to 20000 hours. This DLP projector comes with a 12 months warranty, brought to you by the leader in electronic devices as well as wholesale electronic gadgets..